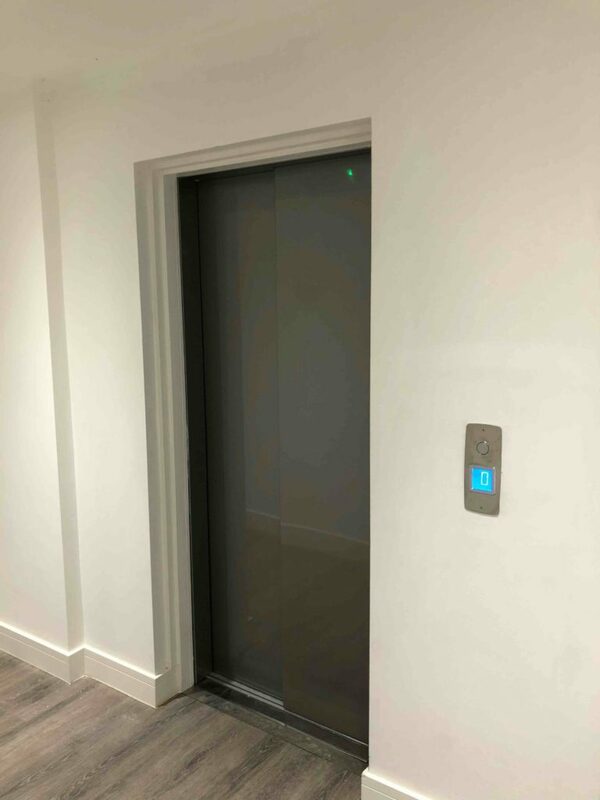 We were approached by a developer who was looking to install a lift in a residential building he had recently refurbished, Kings Lodge, on Kings Road, in Reading. The Kings Lodge building has a number of luxury flats across 5 floors in central Reading. The client was looking for a lift to supply access to all floors of the building. The client also wanted to use the lift to provide a way of transporting heavier items throughout the building when the new residents move in. Before we arrived on site the builder had already created a purpose built lift shaft running through the centre of the building. We inspected the lift shaft and completed a survey, taking critical measurements to create technical drawings for the client. We discussed with the available options with the client and after a couple of weeks came up with a detailed plan for the lift. The client accepted our technical drawings and we installed the lift as to the plan. 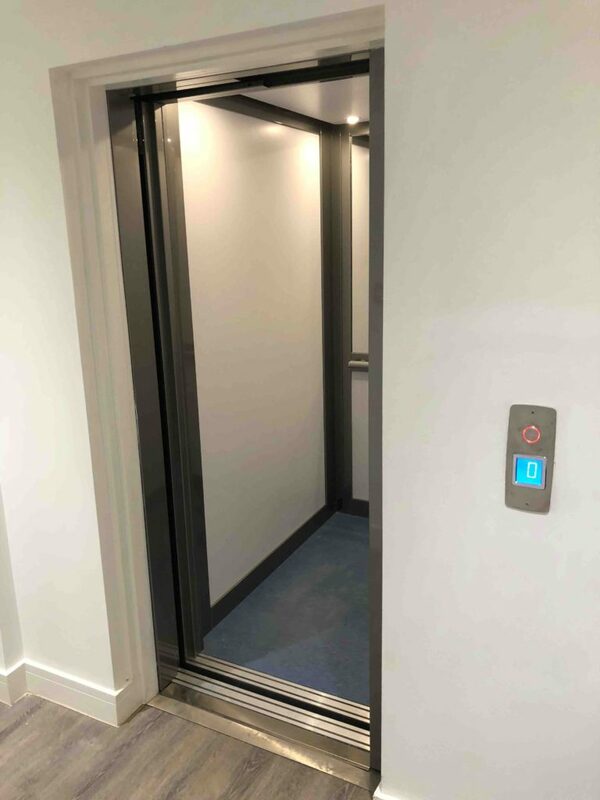 This platform lift in a residential building travels over 12 metres across the 5 floors with the cabin interior measuring 1100mm x 1400mm. 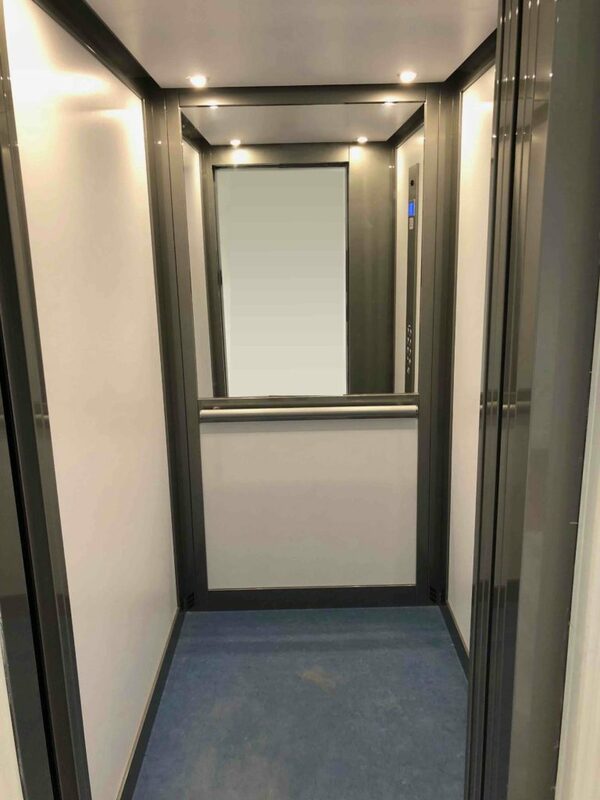 The lift has a rated load of 400kg (5 persons) so it can be used to move luggage and some items of furniture throughout the building when the new residents move in. The platform lift has stainless steel automatic doors on each floor. The lift was finished with a mirror back wall in order to create a spacious airy feel in the lift. To see more examples of our lifts in flats click on the following links: Lift in Flats in Weymouth and Small Passenger Lift in Townhouse in Mayfair. To see examples of our residential lifts click on the following links: Home Lift in External Shaft in Branksome Park, Home Lift in Torquay, Home Platform Lift in Whitecliff and Indoor House Lift in Chichester. Posted in Home & Garden, Projects.